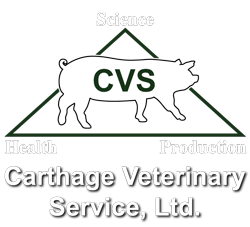 Provided by Aaron Lower, DVM | September 2018 FDA CVM published this month their 5 year plan to support antimicrobial stewardship in veterinary settings. I summarized the 5 most relevant to our businesses below. It is of interest to see where we are going with regard to antimicrobial usage. Develop duration of use on all antimicrobial – 40% don’t have one Move injectable medically important antibiotics to Rx – 5% of total antimicrobial usage Move from educational to compliance inspections of the VFD process. Provided by Aaron Lower, DVM | September 2018 This is a summary report from China on the current situation of African Swine Fever. They are reporting approximately 15 outbreaks to date. To download a copy of the report, please click here.